What can we learn about the strength of Mary Kay’s business in the United States? The company stopped telling us how many consultants they had in the U.S. around 2008, when they reported 600,000. Since then, they’ve only reported the number of consultants worldwide. At the same time, they reported about 13,000 sales directors. 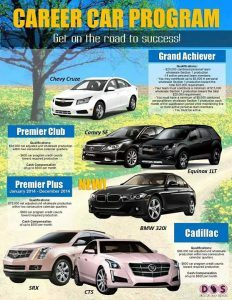 A big deal is made out of the “Career Car Program” because it’s a huge marketing tool for Mary Kay. It essentially costs the company nothing, because the production requirements ensure that the cars are paid for. Yet by putting the MK name on cars and driving them around, they create buzz, especially with the Cadillacs. 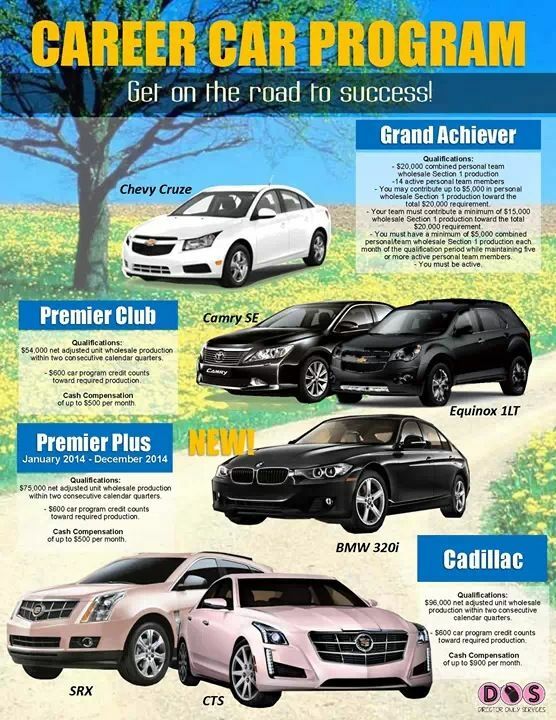 Mary Kay even gives sales directors a standard press release to send out when they get their pink Cadillac. So how many cars does Mary Kay have on the road? Far less than the number of sales directors. I think it’s fair to assume that there are about 11,000 to 12,000 sales directors. Maybe less, but who knows. And less than half of the sales directors are in MK cars if there are 5,000 of them on the road. (And the 5,000 cars on the road include consultants who are car drivers.) Sales director production to get into a car is $7,000 per month, so it’s no surprise that so many of them aren’t in a MK car. Mary Kay Works When You Do! Who is Selling Mary Kay Products? More interesting is that the number of cars dropped by 1,000 and the number of caddys dropped by 200. Despite this being the foolproof surefire way to cars and riches. It’s not happening. Far be it for me to find anything positive to say about Mary Kay, the decline in numbers IS proportionate to the attrition of cars lost through retirement of older vehicles. I suspect the numbers reported for ’14, ’15’ and ’16 were reprinted, rather than updated each year. Jason – The retirement of old vehicles *should* be replaced by new vehicles when the sales directors requalify for the car. They can keep the car for 24 months and requalify for a new one simply by continuing to make the minimum monthly car production. Easy, right? So I don’t agree that the decline in numbers is retirement of old cars. It’s almost certainly a factor of fewer sales directors in the U.S.
Oh, but do these numbers include thos driving OUTDATED Cadillacs? I know Directors locally that are or have in the past. So sad they have to fake it after a hard fall. Well and good… but what happens when they don’t “requalify”? Hand off the car to someone else? The older cars will have their demise eventually. The point is that there are desperate people keeping up appearances by driving their former cars instead of turning them in and driving lower or none at all. It’s really sad and a sign of how bad the business is. I wasn’t trying to be argumentative, but rather trying to play devil’s advocate. I’m sure the cars are just one more way of BS-ing the victims of Mary Kay, the same as every other trick they create to confuse the uninitiated. Yes, that’s true. There are also new people qualifying who weren’t in a car before, so they’re adding to the car count. Jason, What do you do when you retire your personal vehicle? Everyone I know buys another. Wouldn’t you think that when MK retires vehicles they replace them with new ones? I’m pretty sure plumbing companies like Roto Rooter don’t just give up their company when they retire their old work vans, but instead replace them with new ones. If MK folks “earn” another two years in a pink car, then so be it. But if they don’t, the car they’re stepping out of goes… where? To an underling Newbie? To the local used-car lot to be repainted and wholesaled? Who knows? In the normal scheme of things, cars get sold and resold until they’re worn out, then end up at the wrecking yard and scrapped. When MK ends a car lease the car doesn’t get re-leased to another Director or Consultant. It gets repainted some other color (if it’s pink) and gets sold at auction. Jason, any Director or Consultant who wants another MK car has to re-qualify, every time the car is replaced. If they have a car and don’t keep their “production” (makeup purchases) level high enough, they fail to continue qualifying. But they are allowed to keep their current car until the lease is up if they make an outrageously high co-pay. the reason the car numbers are declining is because new car qualifiers are fewer than lease expirations. Period. Your final paragraph makes perfect sense! Thank you for the clarification. While I enjoyed driving MK cars (and yes even the Pink Caddy), when they offered the Cash Option in lieu of the car I jumped on it. No, you don’t “win” a car. You get to use a car for 24 months, provided that you continue to meet the minimum production. If you don’t meet the minimum, you must pay each month. And at the end of 24 months, you must give the car back. I will never forget the southern charmed down the nose look my director gave me when she hung up the reins and I asked her if she had to turn in the MK grand prix – priceless! The car is another manipulation to put up a great pretense, most of them are struggling in the first place and then add on the constant car production or co- payment. In my area they purchase the pink car and drive an aging vehicle thinking no one notices a 10-15 year old car style. I noted this at the functions where they all rolled up and parked in one place. Does not make financial sense. Lease a new car for the fraction of the cost, and show that off as success to your downline. I digress, MK business is not based on common sense. But ingenious on the part of the company. They’re basically locking people into a certain amount of production each month. No one wants to lose their car, so they order extra to meet the minimums. If they choose not to order extra, they have to do a copay. One way or another, MK gets their money for the car. And in the meantime, a bunch of people have ordered a bunch of products they don’t need, simply to continue to qualify for the car. Yikes! UPS has 112,000 vehicles on the road. The US Army ALONE has 120,000+ HMMWV’s (Humvees) – excluding the uparmored ones, the humvee fleet is 60,000+. That’s JUST Humvees, doesn’t include any other type of vehicle in their fleet. MKult has to lie to trap their victims. MK has more vehicles on the road than the military? Another lie, unless you are just counting the cars literally “on the road” ….. at 3:00 in the afternoon ….. on a Saturday ….. but they still can’t prove it. Besides, most of the military’s vehicles are way cooler than any Mary Kay car. I’d rather drive a 1942 Ford Blackout Army Staff Car than an ugly, modern pink Cadillac anyway! The “pink Cadillac” cliché went out 35 years ago with Aretha Franklin. And other MLMs have car programs (e.g., Plexus Lexus), so they must be a a real money-makers for them. Designed, of course, to keep you ordering. Don’t you just want to write “scam” with your finger through the dirt or window fog on MLM cars? I see a lot of bitter people go get a life! If you don’t want to do it so be it. I don’t waste my time bickering over something I don’t agree with. This sounds like a failure pitty party! Toya, you say you don’t waste your time bickering over something you don’t agree with, and yet, here you are …. I also don’t like racists who do wrong by fellow human beings. If I find the white supremacists repulsive, and speak out as an advocate against what they are doing, would I be considered a bitter white pity partier for judging them? I am not drawing a comparison per se between MLMing and racism, but I am highlighting the “context” of “advocacy” against something wrong that harms people. This is the part that people struggle to comprehend. MLMing harms people like many other negative acts – especially financially. If people didn’t speak out, it would continue unopposed and that would be a pity. When something is inherently flawed, there is nothing to agree with. @Toya: So, you’d prefer to get caught up in some illegal scam that extorts thousands of dollars from you, and when prior victims try to warn you, you just tell them to shut up and mind their own business? That’s the old “me, myself and I” narcissism. You must love Donald Trump. My pink Cadillacs certainly don’t say I was a failure at MK. Yet, I’m here to help others to know they’re not alone and that many, many others at very high levels had the same experiences of lies, betrayal, theft, and heartache. Please work on your spelling, as well. Toya, I’ll cut to the chase: Schedule C. Post it. Now. Whats with the constant Donald Trump references? It it possible to make your point without gratuitous political insults. Basically every time you comment you make insulting references to Trump voters, people who like Trump, etc. Do you work for CNN or the Washington Post? Thanks Tracy. I come here to escape political talk. I wonder if Jason Houston is also Char. I beg your pardon. I have been commenting on MLMs and the harm they cause for almost twenty years. I have never once mentioned politics. I guess some people here still have a soft spot for scammers. Maybe it’s denial. And just to further clarify this record, I do not know anyone named Char and never have. To ALL: My apologies. You’re right, this isn’t a political forum, and I was out of line. Thanks for bringing it to my attention. Again, my apologies. PS: No, I do not work for any news service or other institution relating to Donald Trump or anyone else. The new Applause says only TWO Consultants earned a car in July. Out of the entire company, TWO. And 7 Directors earned Grand Achiever status along with them. Boy, things are “unbelievable” in MK, aren’t they? ?